From September 1 through October 31. Click the image to go to a printable rebate form! <p>From September 1 through October 31. 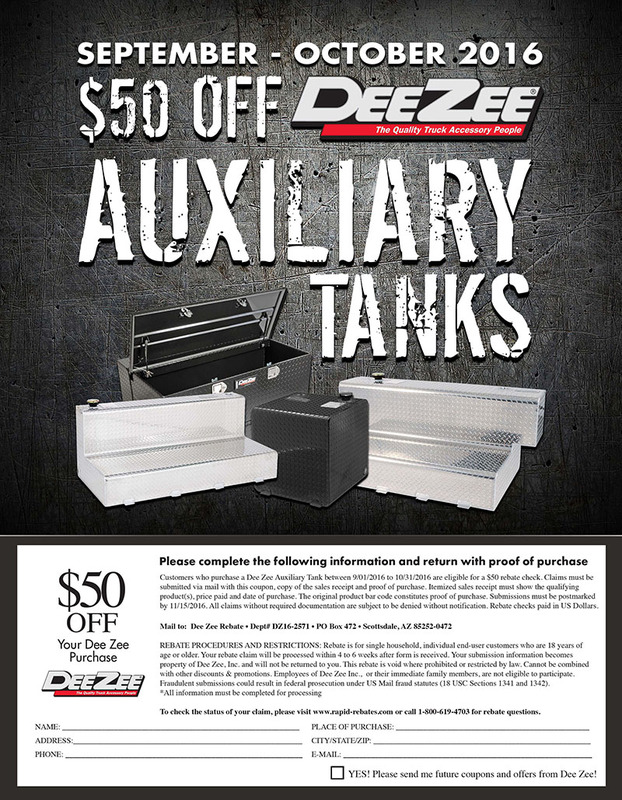 Click the image to go to a printable rebate form! 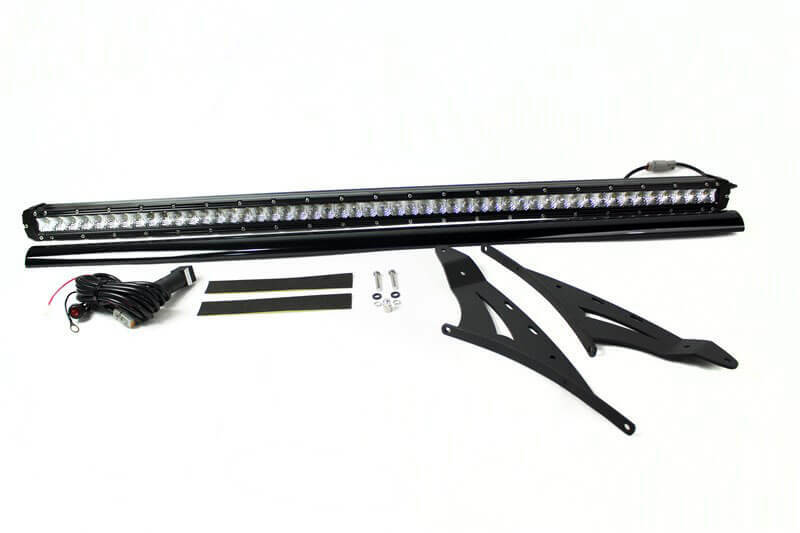 The RSF9914-SR Stealth LED light bar kit from Race Sport provides everything you need for a perfect installation on your 1999–2016 Ford F-250/F-350, including a vehicle-specific roof-mounting bracket, law-compliant light bar cover, and theft-protection lock nuts to keep your bar safe from prying hands. The Stealth light bar disappears into your blacked-out ride, but roars to life at night thanks to brilliant single-row Cree LEDs. 250-watt/25,000-lumen light bar with 50,000-hour lifetime. 6,500 K color, with 12–32v compatible range. Includes mounting bracket, light cover, and theft-deterrent lock nuts. Disguised by its jerry can shape is the patent-pending Trail Can utility toolbox from Rampage, which provides storage for your tools and work gear behind its hinged top lid and front door. The 86619 Trail Can, which fits 5-gallon jerry can mounts, is forged from heavy-duty steel covered with a durable powdercoat. Rampage outfitted this lockable utility box with features like a lift-out tool/tote tray, two removable drawers, and screwdriver storage slots—so you can go from job to job more quickly than ever before. Measures 18” x 13” x 6” overall. Heavy-duty steel construction with durable powder-coated finish. Fits 5-gallon jerry can mounts. Dimensions: 18” x 13” x 6”. 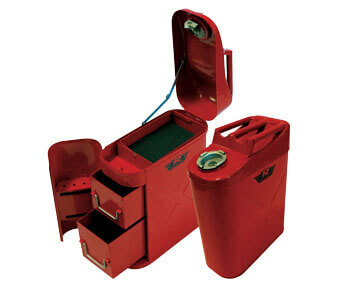 <p>Disguised by its jerry can shape is the patent-pending Trail Can utility toolbox from Rampage, which provides storage for your tools and work gear behind its hinged top lid and front door. Edge Products updated its award-winning Insight CTS2 by giving it the ability to store and program custom tunes. With the help of HP Tuners’ custom tuning software, the Insight Pro gives you industry-leading data monitoring and control with the ability to use custom tunes designed specifically for your truck. 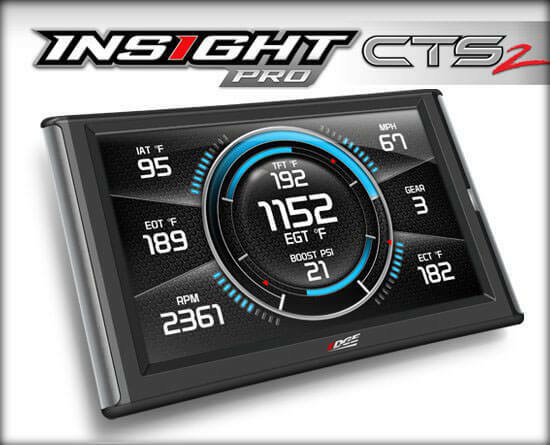 Perfect for daily drivers and enthusiasts everywhere, the Insight Pro CTS2 is the most comprehensive, state-of-the-art multigauge touch screen tuner on the market today. Edge Products packed this product with value, making it an incredibly efficient alternative to bulky analog gauges that would otherwise cost hundreds of dollars and take hours to install. The 86100 is perfect for those who want to monitor their vehicles’ performance but prefer not to program their vehicle, or for those who have already made significant performance upgrades they want to monitor. The Insight Pro CTS2 can also be intelligently configured to provide audible and visual alerts to help you protect your vehicle. Reads stock files and is EAS compatible (via HDMI plug). Cloud-based consumer downloads and dealer portal. Store up to 4 custom tunes with the ability to name each. Supports gas and diesel applications. Slim case displays dozens of parameters, plus notification center. 5” full-color, high-resolution swipe screen with 1-touch navigation. Multiple screen layouts, data logging, and customizable backgrounds. Custom color mixer for gauge arcs, needles, and backgrounds. Toggle between US and metric. Light-sensitivity meter adjusts screen brightness based on ambient light. Freedom Ford Is a Go! 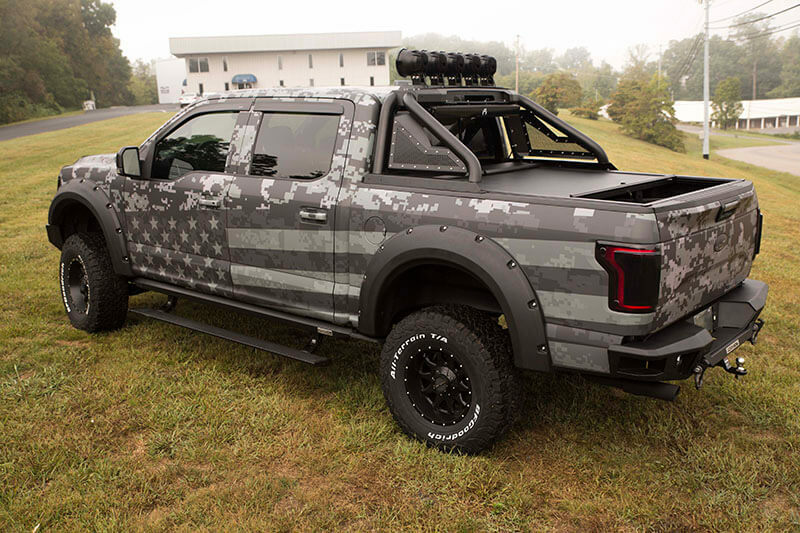 On the heels of last year’s “NSF1” Jeep Wrangler, built to benefit the Navy Seal Foundation, The AAM Group™ is hard at work on the “Freedom Ford,” a 2016 Ford F-150 wrapped in a custom black digital camo blended with an American flag graphic. 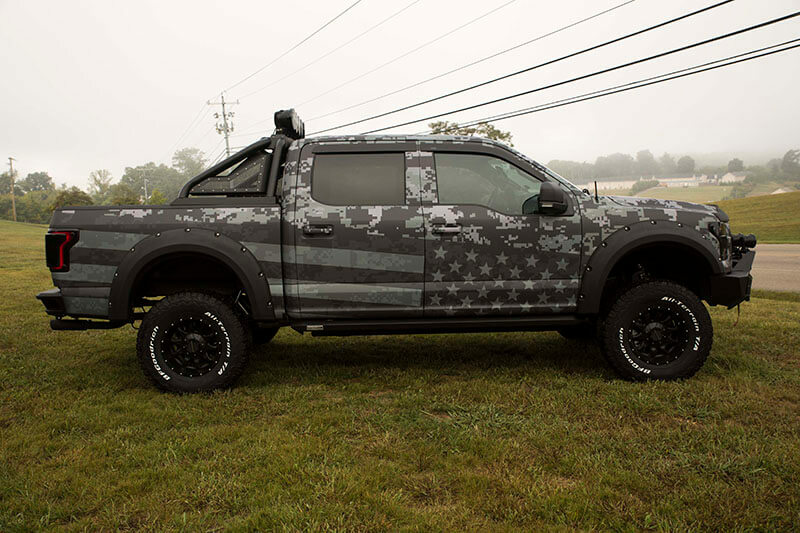 Boasting 35” tires and a 7” lift, the Freedom Ford is an imposing presence and a patriotic tribute to the hard-earned liberty we enjoy in the United States thanks to the vigilance and sacrifices of our most courageous citizens. Also known as “Freedom 1,” the Freedom Ford is being outfitted by many of the biggest names in the truck aftermarket—headlined by primary sponsor Lund International. It will be exhibited at Lund International’s #SU02 booth at this year’s SEMA show. 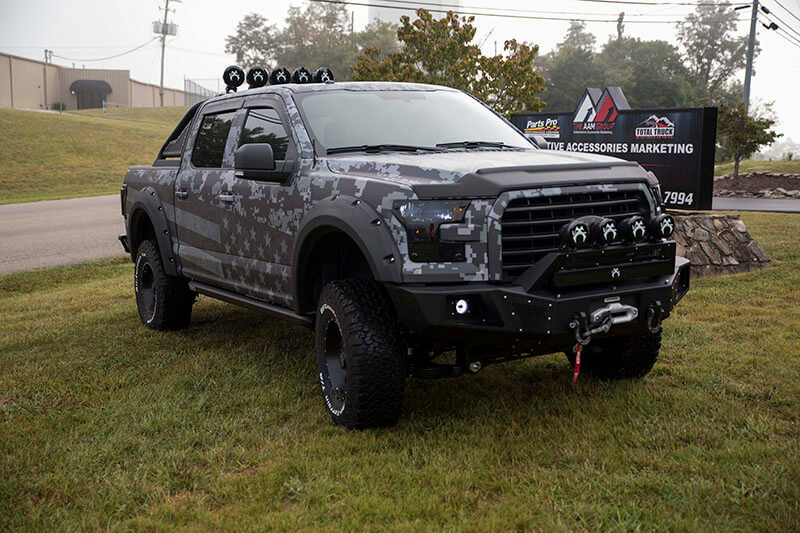 Still undefeated: Providing the ultimate rocker panel and sill plate protection, Trail Armor from Bushwacker is designed to protect your investment from anything your tires may pick up and hurl your way. But Trail Armor isn’t just functional; it also upgrades your ride’s visual profile by covering unsightly pinch welds, rust, and dings. 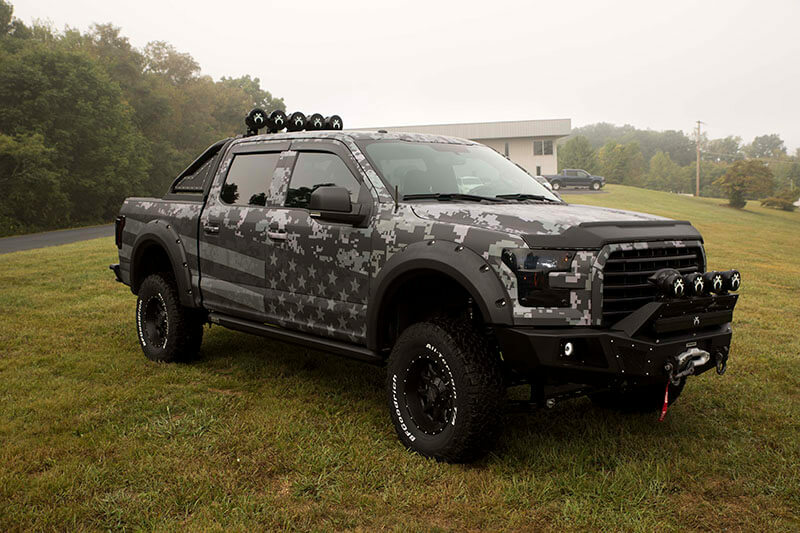 Trail Armor rocker panels and sill plates are made from textured matte-black Dura-Flex 2000 TPO and install without drilling via 3M adhesive. 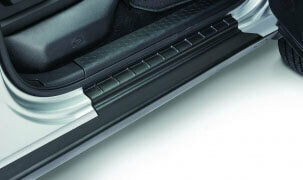 Covers the rocker area under doors, protecting it from road debris and scratches. Hides unsightly pinch welds and rust. Made from tough Dura-Flex 2000 TPO material. Installs without drilling with 3M adhesive tape. That’s the invitation from UnderCover with its upcoming RidgeLander truck bed cover, scheduled for release in October. 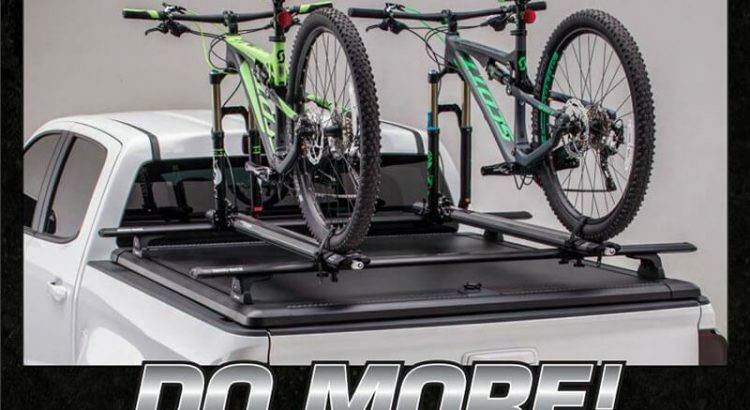 RidgeLander is the ultimate cover for those who crave more from their truck bed accessories. Thrill seekers and weekenders will especially appreciate the RidgeLander, which was designed to keep up with adventurous lifestyles thanks to the Tango Track System, which both mounts to the cover and includes two utility tracks: a top-facing T-slot track and an inner wall system that doubles as a cargo-management system. 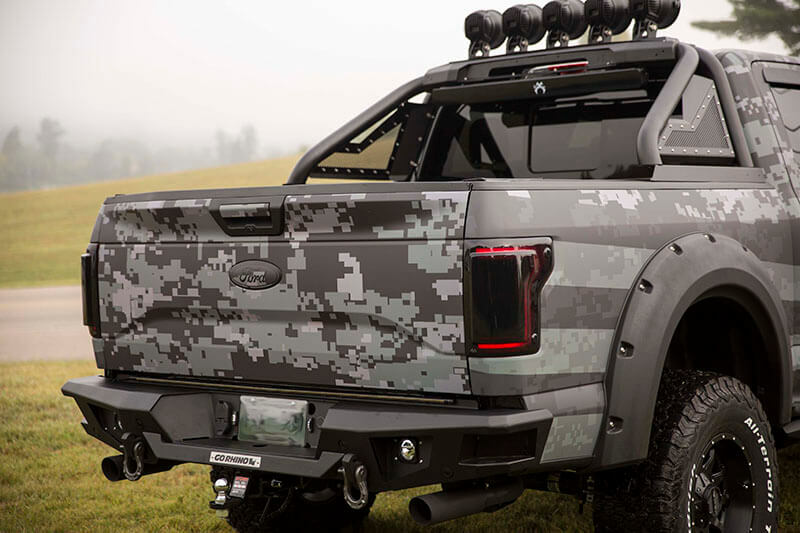 Even with the cover off, the tracks let you customize your truck bed to your liking. 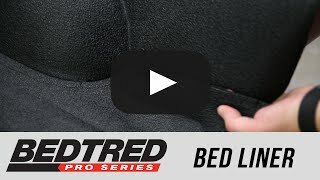 Each RidgeLander from UnderCover comes with the bed cover, Tango Track System, four Rhino Rack quick-mount leg brackets, and two Rhino Rack Vortex bars. RidgeLander displays available! Designed to complement active lifestyles and custom needs. Removes in minutes and weighs only 65 lb. Tango Track System works with the cover on or off. 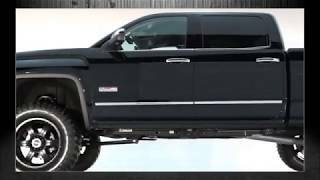 Rancho has gone bigger and higher with its 6” lift kit for 2014–2016 Chevy Silverado and GMC Sierra 1500 four-wheel-drive trucks. 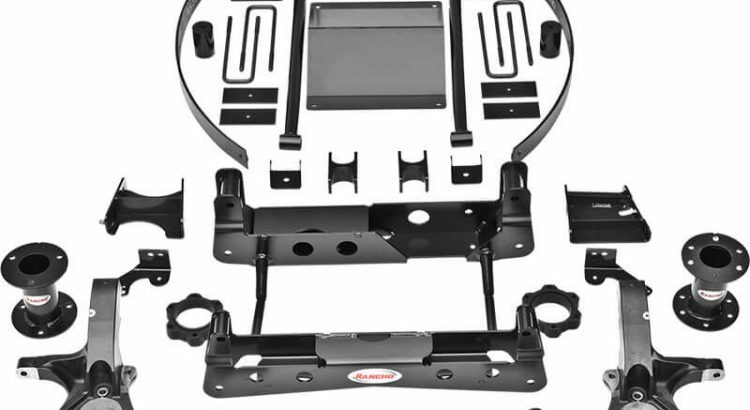 The RS66301B kit accommodates up to 35” tires and allows for reuse of the stock wheels (via included front wheel spacer kit). 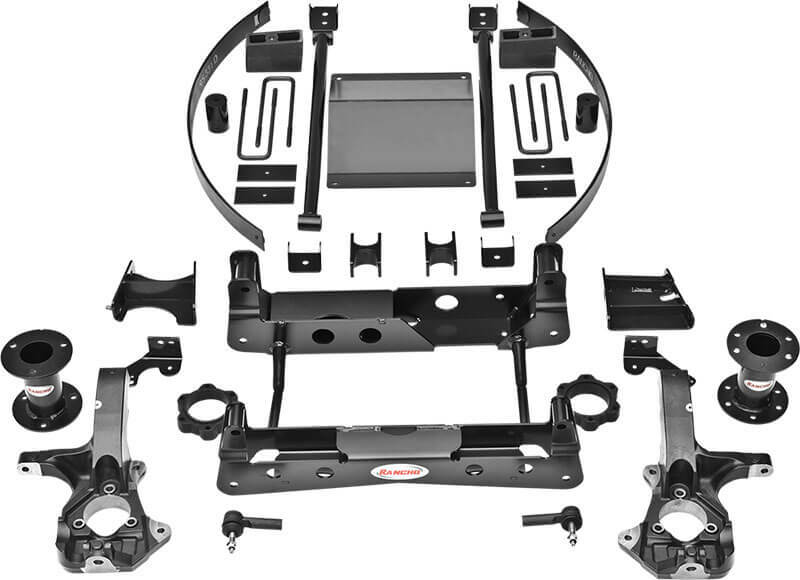 This USA-made system features a one-piece reinforced subframe made from high-strength, low-alloy steel and DOM tubing, as well as CNC-machined extended steering knuckles. Backed by Rancho’s limited lifetime warranty. Note: Will not affect StabiliTrak control systems. Six-inch lift fits up to 35” tires. Allows for reuse of stock wheels.